Dr. Thum Ping Tjin, a fellow Singaporean and Research Associate at the Centre for Global History at the University of Oxford. The writers saw themselves as helping point Singapore to a more sustainable prosperity, explains co-author Donald Low, an economist and former finance ministry official, in what seemed at the time a new era of flexibility and contested policy on the part of the PAP. In 2011, in the economic doldrums after the global financial crisis, voters gave the party and Prime Minister Lee Hsien Loong – the eldest son of Lee Kuan Yew – a severe shock. The PAP vote dropped by 6.5 points to 60 per cent, the lowest since 1963. The Workers Party gained six of the 87 seats, the best opposition result since Singapore broke from Malaysia in 1965. In a separate presidential election, a widely liked maverick came close to beating the PAP’s preferred candidate. This article was first published in the print edition of The Saturday Paper on November 10, 2018 as “Singapore sting”. Hamish McDonald is The Saturday Paper’s world editor. 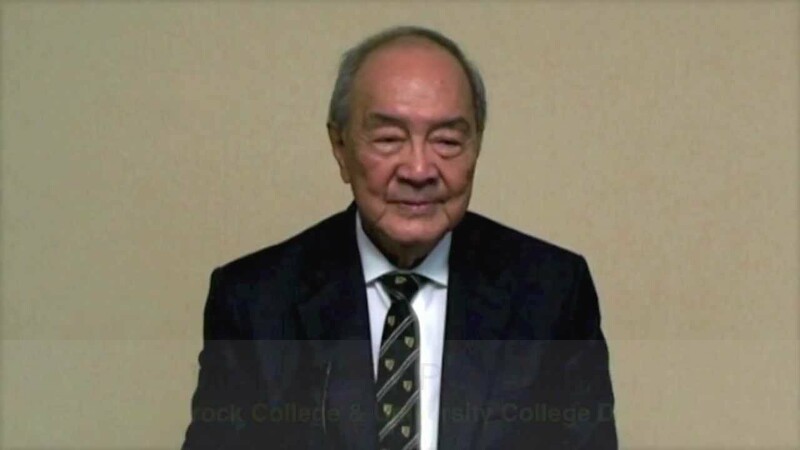 Posted in ASEAN, Demoracy, East Asia Summit-ASEAN, Geo-Politics, History, Human Rights, Laos, Leadership, Lee Hsein Loong, Lee Kuan Yew, Malaysia, Politics, Singapore, The Singapore Identity, Tun Dr. Mahathir Mohamad, Tun Razak. FELDA (Federal Land Development Authority), the massive plantation development scheme that was Tun Razak’s brainchild and crown jewel of his rural development program, threatens to rival the massive scandal of 1MDB in terms of corruption, grand larceny, and inept management. FELDA is now a large, diversified agro-based GLC having morphed from its origin as a modest federal agency. It boasts revenues (2017 figures) in excess of RM17 billion. The profit picture, however, is another story and best reflected by its stock price which languishes at about a third of its initial offering price. When FELDA was listed in 2012 as FGV (FELDA Global Ventures), it was the largest in Asia and globally second only to Facebook. Visit FELDA’s settlements today and compare them to the 1960s or 70s. Nothing much have changed. The settlers’ standard of living has not improved. If there is any economic enterprise on those settlements, they would be under the control of FGV. The social and economic dynamics of those settlements resemble the old company town, except that the company here, FGV, is not in the least benevolent. There is one significant change which the settlers are not even aware of, or if they are, not appreciate the full financial and other ramifications. Whereas before they had title to their land (about 16 acres each), today that has been subordinated to FGV as part of the IPO. When FGV shares tumbled, those settlers’ assets went with it. Those settlers as well as FELDA managers do not understand such sophisticated financial instruments as dividends, stock offerings, and capital gains. FGV should have emulated Nestlé and invested in its settlers and not be enthralled with pseudo high finance. FELDA is uniquely positioned to execute that as its leaders and managers are Malays, as are the settlers. As such there would be no cultural barriers in appreciating their problems, unlike Nestlé’s European managers had with their African growers. FELDA has done little to stimulate entrepreneurial activities among its settlers. It has not encouraged them through funding or training to be FELDA’s vendors, suppliers, or subcontractors, nothing beyond harvesting the palm nuts and tapping their rubber trees. I would have expected that with the huge profits FELDA often brags about, the schools and clinics in its settlements would be among the best so as to give those settlers’ children a flying head start, as those of Nestle’s African cocoa growers. Instead FELDA schools perform below average. Regrettable considering that the mission of these GLCs is “national development foundation,” in particular that of Bumiputras. FELDA has only recently set up a residential school exclusively for the children of its workers. Over half a century later, and only one school! FELDA brags ad nauseum about the few successful “AnakFELDA” (children of FELDA). They are outliers, not the consequence of enlightened policies. As for the settlements, few have electricity or piped water, much less a clinic. Again, compare that to what Nestlé is doing to those African cocoa growers. Those Malay managers and executives at FELDA ought to be ashamed of themselves and their lousy performances! FELDA has introduced little innovation to make the settlers’ lives and work more bearable and less dangerous. Oil palm is harvested in the same old, crude, and dangerous manual ways as it was in the 1960s. FELDA have not introduced hydraulic lifts (like the ones telephone repairmen use to fix overhead lines) to make the harvesting of palm nuts more efficient. Those workers still use pitchforks and bare hands to collect those nuts. Not only do the pitchforks damage the nuts, their sharp shells often scrape the workers’ hands giving rise to painful tumor-like growths (granulomas). Those chores are archaic and literally backbreaking; they should have been mechanized. FGV is the largest employer of unskilled laborers, meaning, illegal immigrants. Instead of investing in the skills and productivity its workers, as well as modernizing its plantations to be less dependent on unskilled workers, FGV took the easy way out by importing them and with all the attendant social problems. There is also little research done on maximizing the use of land, as with growing flowers and vegetables or raising livestock in between the trees to raise the settlers’ income. FELDA has many subsidiaries. All look impressive until you examine their activities; few materially advance the settlers’ plight. Those subsidiaries are but crass opportunities for politicians and civil servants to earn extra-lucrative directorship fees by being appointed to their boards, all at the poor settlers’ expense. With the resources it has and freed from the micromanagement of the the civil service, FGV could have superb build schools to benefit the settlers’ children. These GLCs as exemplified by FGV have failed in their primary mission of developing Bumiputra human capital. They succeed only in duplicating existing governmental programs, and adding to the costs. They do not bring in added value despite the tremendous resources, financial and otherwise, expended on them. Good enough reason to get rid of them. Posted in Character and Integrity, Corruption, Crony capitalism, Ethics, FELDA, Financial Scandal, Governance, Kleptocracy, Malaysia, Politics, Public Accountability, The Malays, Tun Razak, UMNO. GE-14: 72 hours to Polling Day, May 9, 2018. Voters who have access to my blog in Malaysia should read this insightful analysis of Malaysian politics by Tun Daim Zainuddin, whose views I respect, before they go to the Polls. Rationally speaking, you will have no choice but to vote for Pakatan Harapan and make Tun Dr. Mahathir Mohamad as our next Prime Minister. Like most of us including me deserve a second chance to correct our mistakes. Q1 : With the establishment of Pakatan Harapan lineup, many people believe this was the strongest and tougher opponent ever to BN, especially with Tun Dr Mahathir take the leading role, what is Tun comment? 1. Many believe so. This is the strongest and toughest opposition as now they have Tun Mahathir, Anwar Ibrahim, Lim Kit Siang, Mat Sabu plus their lieutenants, supporters and volunteers. They also have YB Muhyiddin, YAB Lim Guan Eng, YAB Azmin Ali and YB Mukhriz. On paper, this is very formidable. I don’t think their supporters want them to be paper tigers. 2. Previously voters had party loyalties but now, voters vote based on policies. Policies must be in line with what the voters think can be implemented; otherwise they are just empty promises. It has to be realistic and convincing. 3. Tun Mahathir was an UMNO President and held office as the PM for 22 years. They have Deputy Prime Ministers, Menteri Besar and ministers in their parties. 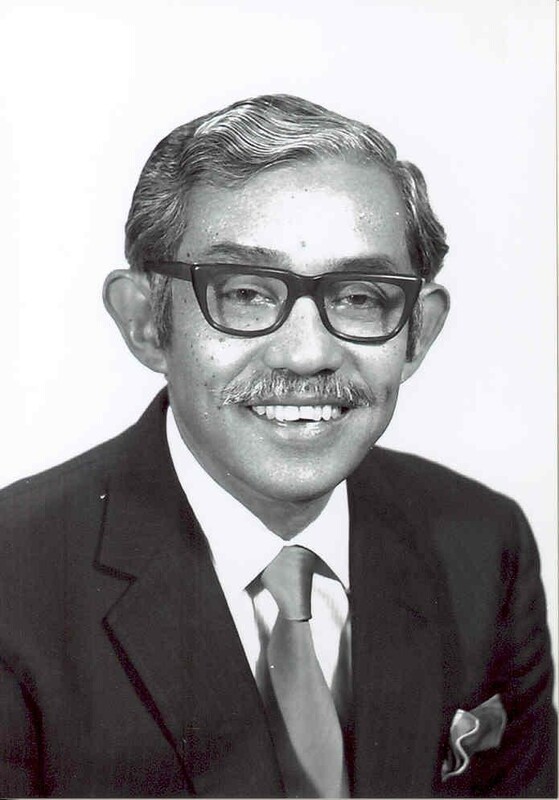 Lim Kit Siang was leader of the Opposition for a long time. Of course this is a big credit to the current Opposition. Based on the actions and statements from BN and UMNO leaders, it clearly shows that they are worried and very scared. I am not happy that some statements have been too personal. This goes against our culture and beyond politicking. This is not healthy. Leaders must always set a good example to the people. Q2 : Tun Dr Mahathir as an asset or liability to Pakatan Harapan? Did this latest opposition front lineup works? 4. Of course to PH, he is an asset but in the eyes of BN, they have to say he is a liability. A few members of the PH component parties initially protested. In politics, you can’t expect everyone to agree to everything. lf we believe in democracy, we must respect the decision of the majority. But those who disagree, they can object. 5. From what l have read, these are equal partners. It means no party dominates. Before this, there were those who called Tun Mahathir a dictator and they said dictators don’t change. Dictators don’t listen to others. We have heard that Tun Mahathir said he does not agree that tolls should be abolished but he was overruled. Isn’t this a sign of change? 6. Do dictators give up office voluntarily? Under Tun Mahathir, his old party was declared unlawful. It was de-registered. He didn’t interfere with the ROS(Registrar of Societies) or the Courts. He was called MahaFiraun but he allowed Semangat 46 and PKR to contest in the elections. Those who used to be under him are now saying he was a dictator. Why didn’t they resign like Musa Hitam and Tengku Razaleigh? Is it because they prefer to retain their positions and have no principles? 7. Clearly PH is not BN. lt is inconceivable that Lim Kit Siang, Mat Sabu, Anwar Ibrahim and his family will allow Tun Mahathir to bulldoze everything. Tun Mahathir is a highly intelligent man and he knows that the present generation is very different from those of the 80s and 90s era. 8. Tun is very pragmatic and reads the ground well. Although he is 93 years of age, he understands the needs, expectations and aspirations of the young. 9. The reading is that UMNO and BN have not changed. Rakyat think PH and the component parties have read the situation correctly. Q3 : Is there really a “dream team” for Pakatan Harapan? Can Tun Dr Mahathir and Dato Seri Anwar Ibrahim sincerely forgive each other for the sake of common political ground? 10. Dream team only exists in dreams. PH has many intelligent young leaders who subscribe to the ideals of democracy. The experienced leaders were idealistic and have made huge sacrifices to their freedom. Some were detained for their beliefs. Now all of these leaders are together fighting against corruption, kleptocracy and wastage. They promise to respect and honour the supreme law of the country that is our constitution. 11. lf we read and understand the constitution, we cannot ask for more. All of us must respect and follow the law. Nobody is above the constitution. 12. The opposition pledge their promises in their recent manifesto. If they don’t keep their promises, voters will reject them in the next elections. Democracy gives voters the chance to choose the government. 13. I know both Tun Mahathir and Anwar Ibrahim quite well. Since their reconciliation, l have spoken to both. Tun Mahathir and Anwar had worked together before, until they went their separate ways. We read their statements. YB Dr Wan Azizah and YB Nurul Izzah have accepted this reconciliation and if the family members accept, who are we to question? Yes, they have come together for a common cause that is to save this country. What bigger sacrifice do we want from these leaders? Q4: Did Tun believe that, the claim by DAP leader, they wish through Tun Dr Mahathir influence, will stir the necessary Malay Tsunami to make an inroad to Putrajaya? 14. Tun Mahathir still has influence among different age groups. He was PM for 22 years. He retired voluntarily. He developed this country and gave pride to Malaysia and Malaysians. In 22 years, you can’t expect perfection. Mistakes were made but overall, he did an excellent job. 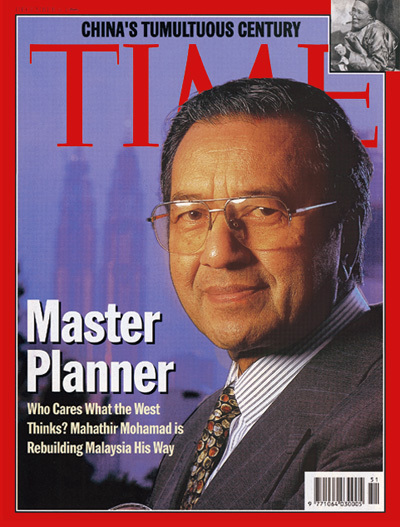 This was recognized by Time Magazine which described him as “The Master Planner”. He is the builder of modern Malaysia and nobody can deny this. Those who were part of the team should be proud of what was achieved. I am very proud. During his tenure, he overcame two recessions and the country did better after he introduced some new policies to take this country forward. 15. During the two recessions that the country faced, he made sure the government took care of the rakyat. He had strong confidence in his policies and he was so brave to call for elections during these difficult and critical times. The rakyat rewarded him with a 2/3 majority in Parliament on both occasions. 16. So those in their 50s and 60s know his services to Malaysia and his achievements. They believe in him and l think they will give their full support to him. The younger generations are exposed to the world and with the state of the art technology, they can get instant news. In the past, the young generation were normally anti-establishment and voted for the Opposition. 17. PH does not really need a Malay tsunami to win the election. A swing of around 10% is sufficient. The urban areas traditionally vote for the Opposition. Now with smart phones and advance technology, even semi urban areas get instant news. This will become a danger to BN. 18. What is left are rural areas. News about Felda, Tabung Haji and other agencies are widely spread. If the rural people who traditionally support UMNO receive these news, support for UMNO will be affected and eroded. l am told second generation settlers are very angry with the government. l remember l cautioned the government about the impact on the listing of Felda, but when you are no longer in government, who will listen to you? TH depositors are not happy too. 19. I believe DAP is predicting a Malay Tsunami based on these factors, but do you need a Malay Tsunami to get to Putrajaya? l don’t think so. Q5/6 & 7: What are Tun prediction of the 14th GE possible outcome? Did BN will eventually fall finally? Or other way round, BN make a strong come back, even recapture the two third majority in parliament? If yes, what are the major factor? 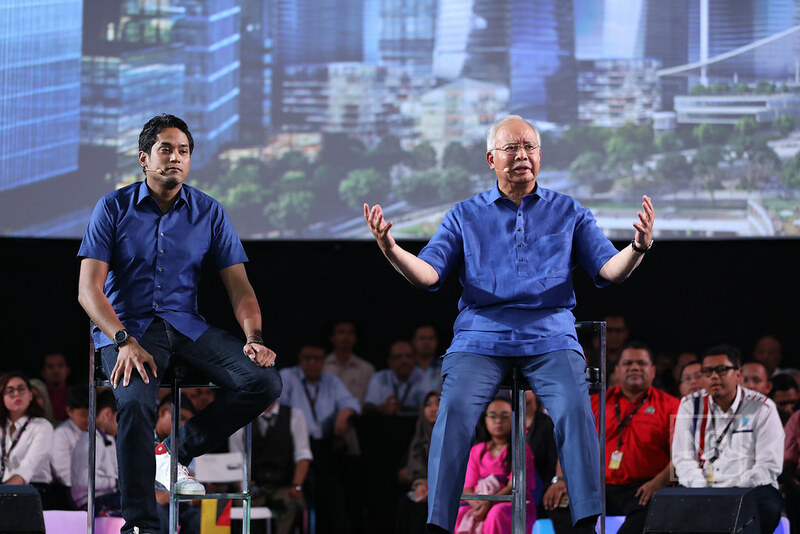 If BN facing another major setback, what are the major reason? 20. Let me make it very clear l am not in the business of predicting election results. I have retired from business too. l don’t do any research. But l meet a lot of people. l read analysis from the think tanks, hear from politicians representing all the parties in Malaysia, from journalists, taxi drivers’ talks in coffee shops and suraus. I receive news from Whatsapp and I watch YouTube. I have old and new friends who give me feedback. Then l make my own conclusions. 21. The Opposition according to many is the strongest ever. They managed to put their differences aside and put up a united front which is very rare in Malaysian politics. Imagine a common logo and DAP sacrificing its rocket. This is the best evidence of sacrifice for common cause. This is the biggest news for the rakyat. They have one main agenda that is to topple BN hence attack is mainly concentrated on Najib given that he is seemingly their Achilles heel. 22. BN’s biggest problem is to explain 1MDB to urban voters. I think the government’s biggest blunder was not to address this scandal when it first surfaced. The government should have just admitted that 1MDB is a big mistake. Rakyat will eventually forgive but what they can’t forgive is when the government is abusing the law and hide their wrongdoings. 23. Sacking the DPM and a senior minister did not solve the problem, rather it may have done the opposite. It is now an international scandal involving so many countries. We have no control over other countries nor their media. These days we get instant news. The government and ministers can deny but these denials make the educated and urbanites very angry and they distrust the government. Whatever good the government does is being negated by the 1MDB scandal. How can one deny DOJ’s report when there is mention of MO1. And a minister in the PM’s department confirmed to BBC that only idiots do not know MO1 is Najib. This is major scandal which the Government needs to address in order to regain trust from the rakyat but yet, in parliament this subject cannot be raised. 24. We have 3 former cabinet ministers made known their views on certain issues. Two were immediately condemned. Instead of replying point by point on matters raised, they were accused of having ulterior motives or revenge. People think this country has reached a stage that supporters of government have become irrational, intolerable and have no ability to rebut logically. 25. In the rural areas they are blaming the government for high cost of living. The Opposition put the blame on GST and tell the people that the government is forced to introduce GST because they have to repay the loan from 1MDB. The government so far fails to explain why the cost of living has gone up. Mere denials by saying that things here are cheaper than in Singapore are just silly and lame. They are being ridiculed by the Opposition. The Opposition, on the other hand, has promised to abolish GST. 1MDB and GST are the two factors that are very difficult for the government to answer. 26. Will BN win? BN and its predecessor, the Alliance Party has been running this country since independence. In any country, this is indeed too long. 27. But BN is the incumbent and has many advantages. Recent delineation of constituencies and Anti-Fake laws are signs of fear but of great advantages to the incumbent. Rahman Dahlan is a big fan of the Anti-fake laws. 28. BN is trying to take advantage of these two recent laws to win the elections. lf these work then together with the uncertainty of the postal votes by civil servants, BN will win and maybe win big. The foreign media have been highlighting this as stealing. lf voters are angry and believe the government is stealing the elections, they will vote against BN, and this will ultimately be their downfall. This will create history. For those who believe and support a genuine practice of democracy, this is cause for celebration. 29. We can read the moods, the various actions, the talks in the coffee shops, the chatters among taxi drivers or Grab drivers. The anger over GST, the high cost of living in the country, IMDB, the scandals in MARA, FELDA, Tabung Haji and FGV, the depreciation of ringgit, and the issues on unemployment when graduates have to become Grab drivers and sell nasilemak. We are seeing more graduates are currently unemployed. The government is not creating skilled jobs as their focus is more on services sector. This is one of the main cause of the high unemployment rate especially for fresh graduates. These are of great concern to all. 30. The Director General of Immigration has indicated that the country needs to give priority to local workers, and they are trying to reduce the number of foreign workers in the country. This issue has been long standing. People are asking where are the enforcement agencies? If this is not handled aggressively, the DG said that Malaysians might be “Kuli di negara sendiri”. And according to one research group(Ipsos), unemployment is Malaysian’s biggest worry and this is partly related to foreign workers [taking up the jobs], as well as a concern that they are not getting the jobs that fit their aspirations, needs and lifestyle . Their concerns are not unwarranted, last month BNM says that only 1 out of 5 jobs that were created last year was filled by locals, the rest were filled by the foreigners. This never happen before. No wonder the number of unemployed graduate continue to increase. 31. In its manifesto, BN has promised to create 3 million new jobs. So if the ratio is 1:5, it means that locals will get 600,000 jobs and foreigners will get 2.4 million jobs. 33. The government is not sitting still. ln response to high food prices, it offers BRIM. This helps the poor. BRIM was recommended by Bank Negara as a one-off help but it has now become a government policy. l personally think BRIM cannot go on forever. This is a temporary fix, not the permanent answer to help those who need help. In its Manifesto, BN promises to increase BRIM. I said BN can’t rely on BRIM forever in order to gain popularity. People need jobs so that they can get good income to sustain their lives. 35. The government has announced an increase in amount for BRIM and will cost about RM4 to RM6 billion, plus another RM1.4 billion token for civil servants. Are these part of the budget? Where is the money coming from? 36. The 1Malaysia shop failed and Mydin explained the reasons very well in an interview he gave. 40. Rahman Dahlan said that the Opposition is investing in falsehood . Zunar the cartoonist is very angry that BN has altered his cartoon to portray that he supports BN. He is facing so many charges in court . The Economist wrote that the Malaysian government is guilty of falsehoods, and asked will the government prosecute itself . 41. We take one an example on MRT. The government said they have completed the project ahead of time and below budget by RM2 billion. Some people claimed that this is only half truth. According to Budget 2011, the overall cost of MRT is RM40 billion but the first phase of MRT, the government has spent more than RM32 billion. This is excluding Phase 2 and Phase 3. The Minister’s statement cannot be true. 42. In recent BN’s Manifesto, Najib has announced on TN50 of which he pledged BN’s promises to the young. And one thing stood out from the rest. In the poster that was released, the iconic Petronas Twin Towers have disappeared . People say this is very childish. Some are asking why BN is lying. I used to know that only David Copperfield, the magician can make buildings disappear. Some say that if BN can make the twin towers disappear, a manifesto can just be a blatant lie and your votes can go missing too. 43. The joke going around KL; if you test positive first time then go for second test and if you are from Umno or BN, the result will surely be negative. 44. The PM said DAP is the brains behind the opposition pact and is using Tun Dr Mahathir Mohamad to split the Malay votes. The Malays especially in PH feel insulted. PH’s reply is simple. If DAP is the brains, how come they could not defeat Tun Mahathir over 22 years? 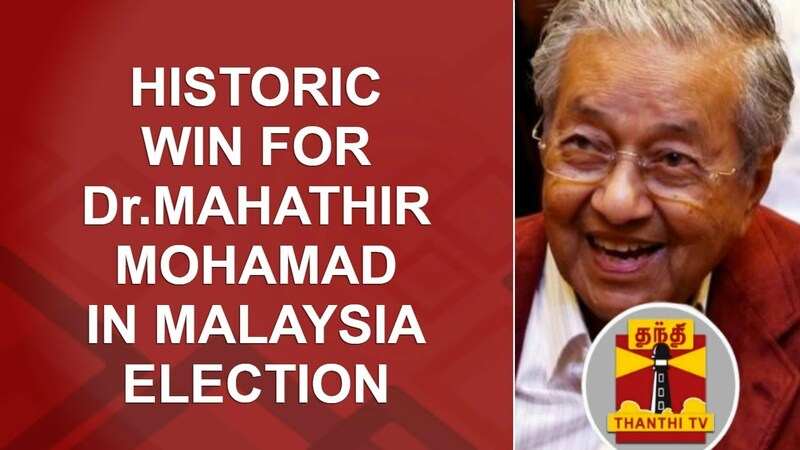 PH said Tun Mahathir is a strong leader, a man of sturdy conviction, remarkably intelligent and a true patriot. So maybe Najib dare not accept Lim Kit Siang’s many challenges as he believes Kit Siang is the “brains”and to Najib, Malays have no brains. 45. This is the stage for the election. Some think and hope for a hung parliament. l don’t see that although PAS plans to be the king maker. My view is whoever wins more rural seats especially in Felda and gain supports from the youth will form the next government. You don’t need a tsunami for that. 46. I don’t think anyone knows for sure the answer on who is going to win. I can only say this is the most important election since Independence. It is about the future direction of the country. One promotes familiarity and more of the same and the other champions change and reform. As a voter, which one is more attractive? 47. PH says BN cannot change as they want status quo and almost all institutions are directly under the PM. The present government survives because of the present structure. PH offers change and reform and rule of law based on participating democracy. PH is giving options to the people to choose which system they prefer. Many said our institutions exist but they are hollow. 48. I think the young should play their role. I quote Pope Francis calling the young to take action – “Dear young people, you have it in you to shout. It is up to you not to keep quiet. Even if others keep quiet, if we older people and leaders keep quiet, if the whole world keeps quiet and loses its joy, I ask you: Will you cry out? Please, make that choice, before the stones themselves cry out”. In United States, students demonstrated and one slogan was ‘opposite of progress is congress.’ In Malaysia we hear people say opposite of debate is parliament. 50. I believe that the youth has a major role to determine the outcome of this election. They can’t be fence sitters or observers. They must exercise their duty and responsibilities as concerned citizens. They are the ones who must decide the country’s future, their future and their children’s future. The youth must not abdicate their role to decide the future of our beloved Malaysia. I have faith and confidence in our youth. They are smart enough to make the right choice for the best of this country. 51. Democracy will die if citizens and especially the youth think they are powerless. This thinking is wrong. Voters have the power. In fact, voters are the power. Exercise it. Real democracy gives voters the choice. Plato said “the price good men pay for indifference to public affairs is to be ruled by evil men” and he is right. We hear some believe that cash is king. Truth is; your vote is king. 52. Those in power define democracy according to their fancy. Sukarno had guided democracy and he defined it. Today in Hungary the PM called it “illiberal democracy”. Portugal and Turkey too practice this system. lt is supposed to be for the 21st century. They oppress minorities or attack independent judges or journalists and according to them, to protect the people and the nation. 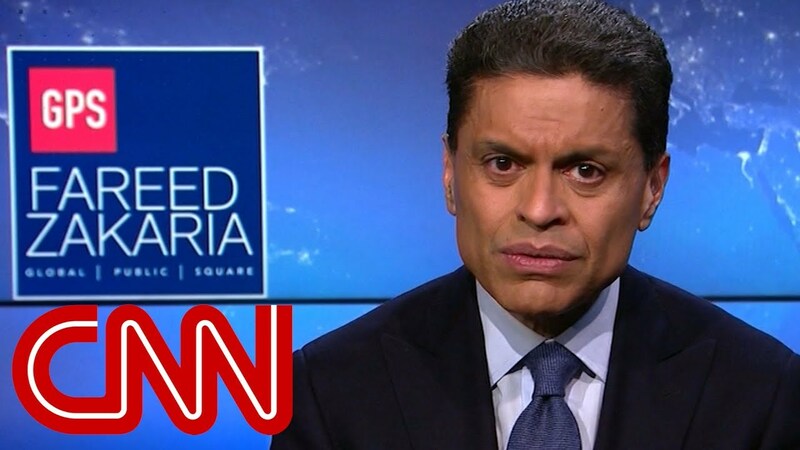 Fareed Zakaria commented on the difference between a liberal democracy and a mere democracy. The former practices rule of law and the latter is exclusively ruled by the majority. In the last elections, BN did not even get the majority of the votes. Q8: What are Tun prediction of BN component parties like MCA, GERAKAN and SUPP fate? 53. MCA and Gerakan have been losing support and as one minister said; DAP represents the Chinese (as shown in the last elections). MCA needs Malay votes to win elections. I think Umno thinks it does not need Chinese’ support anymore as shown by the recent redelineation exercise. Even the Chairman of EC confirmed that the delineation was to make constituencies race based. It is unbecoming for the EC Chairman to confirm this publicly. And UMNO seems to prefer PAS. At least we see their Presidents together and very cordial towards each other. The PM and Mustapha Mohammad were photographed together with PAS leaders. 54. The second Finance Minister said he does not need Chinese and Indian votes to win his seat. Isn’t this clear UMNO does not need MCA, Gerakan, MIC, etc? Are the opposition and the rakyat wrong to believe that UMNO’s plan is just relying on Malay votes hence the redeleniation exercise and the close rapport with PAS. 55. MCA and the rest of component parties have lost credibility with the voters because they were silent on 1MDB. Their silence on 1MDB reflects their subservient approach towards UMNO. Not a word about Jho Low and they never asked why is he hiding. Why hide unless he has committed some crime? Surely, they must have read all the foreign reports and watch TV news and videos. To non-Malays and urban people they can only come to one conclusion; these parties support corruption and kleptocracy. What kind of example are they giving to the young? Where is their principle in politics and life? 56. By their silence, it seems that they endorse Kleptocracy which no one in his right mind can accept. The government admitted it adopted the wrong business model on 1MDB. You can’t succeed in a business with RM1 million paid up capital and borrowings of USD11 billion. Ask those in business whether this is what they call business. The PM himself said mistakes were made. But sadly, MCA, Gerakan and MIC have not uttered a word. I was asked on 1MDB years ago and my replies are on record. Why create 1MDB as a sovereign fund when we already have Khazanah? 57. MCA in the last elections promised not to join the cabinet if Chinese voters rejected them. They were rejected and later broke their pledge. How can the Chinese trust them? They have no credibility. UMNO seems to reject them as shown by the delineation exercise. And UMNO has also made a cruel attack on Malaysian’s most successful businessman : Robert Kuok. And don’t forget that Robert is from Johor and has helped the Johoreans and Malaysians. What has happened to government’s policy to produce “glocal” businessmen? What other conclusions can you come to when you study the delineation exercise? These parties committed suicide by voting in Parliament. 58. MCA has insulted Tun Mahathir who was our PM for 22 years by calling him an “old horse”. People get very angry and replied it’s better to have an old horse with brain rather than the young horse with no principles. The latest slogan is “Undi Biru Tua jangan PM tua” but many said that they prefer an old man who fights for the people than a party who is silent on 1MDB and corruption. 59. Tun Mahathir has proven to be agile and sharp. It is a sign of a nation’s progress that a 93-year-old person is able to sustain a punishing political campaign, offering quality arguments and content. He even challenged Najib to debate with him. Q9: Is that possibility BN may lose more state? Selangor and Penang outcome? 61. The mood as of now is for change. But whether there will be change will depend on the voters. The conditions, according to many reports are ripe for change. Voters will study the manifestos and listen to speeches. But most importantly, for the parties to win, they have to put the right and clean candidates with integrity. The locals must like the candidates and trust them to be their future wakil rakyat. 62. Before this, the Opposition used to say BN means “BarangNaik”. BarangNaik has become a reality. Now the Opposition says BN means “Bini Najib”. A vote for BN means a vote for “Bini Najib” as many believe that she is running the government. The opposition says that UMNO believes in RAHMAN (Tunku Abdul Rahman, Abdul Razak, Hussein Onn, Mahathir Mohammad, Abdullah Badawi and Najib Razak, and noticed that Najib’s name is the last) and Najib has selected May 9 as polling day, which falls on Wednesday or “Rabu”. They are now saying “rakyat akan buang UMNO’ on this day. On the May 9, 2016, Philippines has elected new President. On May 9, 2017, South Korea has elected new President and on 9th May 2018, God willing, Malaysia will elect a new Prime Minister. The rakyat are now giving the PM a big “thank you” for R.A.B.U. 63. From many feedbacks received, if Mukhriz spends time in Kedah and with Tun Mahathir’s influence, BN will lose Kedah. For Penang and Selangor, PH will retain the states. Both states have sorted out their candidates. 64. I think BN will retain Perlis. For Perak, if PH has a good candidate for Menteri Besar, they will take back the state. Voters are still very angry with the way BN has “stolen” the state. YAB Zambry is a popular MB but is quite a loner. 66. On Johor, it is a known fact that it is UMNO’s stronghold but PH has a chance if Muhyiddin spends more time there. Shortly after PH launched its logo in Pasir Gudang, TMJ(Tengku Mahkota Johor) has issued a statement but claimed that it is not a political statement. Many read this message as UMNO is losing ground and the Palace has read the situation well. People will make their own judgements. The State Government has commissioned a study on its support. People say that the MB may lose his seat but rakyat is very sympathetic of him. Those who used to work with the MB believe that BN will lose the state. But as I said earlier, the voters want candidates with integrity and with principles. They know what is good for them. Big crowds come out to listen to ceramah from PH but big crowds is meaningless unless they are translated into votes. 67. The Palace of Selangor and Perlis have issued statements that they are above politics. 68. It’s a 50/50 chance in Sabah. However, we know that Sabahans are fiercely independent and have changed state government many times. YB Shafie Afdal has spent a lot of time in order to win. 69. For Sarawak, BN will win. Q10: Are Chinese Majority constituencies the hardest part for BN in the coming election? 70. l have answered earlier. Q11: What are Tun advice for BN to convince the Chinese support in the GE? 71. BN can’t convince them with the government’s latest delineation exercise as MCA, Gerakan and MIC did not object. You observe that PAS on the other hand objected. MCA, Gerakan and MIC show that they just follow UMNO blindly. 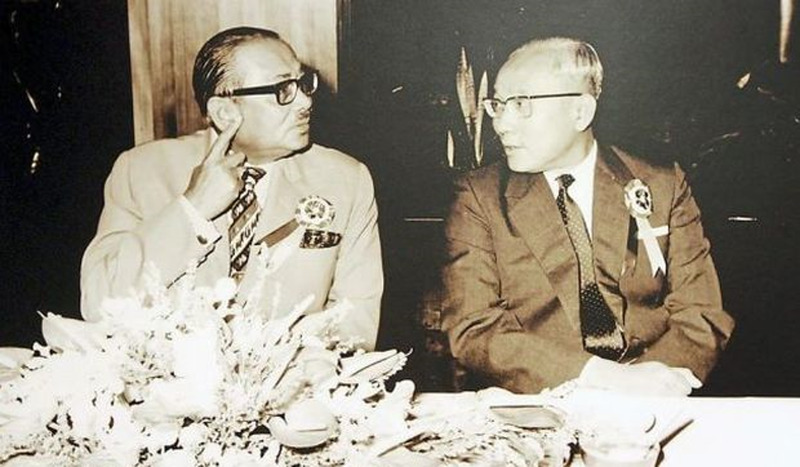 At least in 1959, Tun Lim Chong EU was brave to challenge the UMNO leadership. He fought for MCA and did it for the interest of his party and his race. TS Tan Koon Swan too was brave and fought for his community. 72. We forgot PPP. This party was not happy as the Cameron Highland’s seat was not given to the party. With Umno working with PAS, many guess PPP is no longer relevant and reports say PPP has sacked it’s own president. Q12/13/14: Any possibility of fallen of additional BN state to opposition? The outcome of front runner state like Johor? Negeri Sembilan? Perak? Kedah? Did BN have a chance in Selangor ? Did the issue of 1MDB, RM2.6 billion donation, have any impact on the GE? Especially the rural area and Malay Kampong? 73. l have answered earlier. The donation of RM2.6 billion has not been convincingly rebutted and most of us have read the DOJ report. 74. Some of the attacks have become counterproductive. Have you heard or come across any political party running down and condemning its own excellent record and then ask voters to vote for the same party? The official and main stream media praised Tun Mahathir on his 22 years premiership but only to condemn him now. 75. Some attacks are very crude, un-Malay and un-Malaysian. The attacks confirmed these ex-leaders have a lot of influence. The attacks on Rafidah and Rais Yatim show desperation and these attacks are very personal. UMNO should answer them intelligently and with facts. Both Rafidah and Rais had been in politics for a long period of time. Both of them have served as ministers. They are very intelligent and talk facts. I don’t think it’s a good idea for anyone to challenge them. The ground says that if you touch a hornet’s nest, you will get Rafidah. 76. The rakyat find personal attacks distasteful. They believe we are very cultured and prepared to hear debates or listen to arguments on policies during both Tun’s time and Najib’s. For example, under Tun Mahathir, issues such as economic growth, FDIs, north/south highway, KLIA, Petronas twin towers, KL tower, Felda, Tabung Haji, Mara, EPF, international relations, operation lalang and sacking of CJ and Forex loss were all raised. Under Najib, economic growth, GST, depreciation of ringgit, high cost of living, BRIM, NFC, PFI, KWAP, GLCs, MRT, ECRL, abolishment of lSA, introduction of POTA, SOSMA, Anti-fake news, AG’s early retirement, 1MDB, judges appointed above the age of retirement, national debts, Parliament, MACC, police, Chinese investments and many more are topics for debate. 77. Najib can debate with Tun Mahathir, but on economy and finance each side can nominate their representative to debate. These debates would educate voters and will be very informative. I think rakyat want to hear from both under one stage or platform. Question 1/2/3 : How do you see those ex leaders’ effect on states like Kedah, Sabah and Johor? Cooperation with PAS has always been an issue and it has pros and cons to BN itself, will there be any chance of cooperation between the two parties in certain issues in coming PRU? 1. UMNO’s ex leaders still have great influence. Look at the time UMNO spends on attacking ex-leaders especially Tun Mahathir. 2 Both parties need to discuss the role of the caretaker government after parliament is dissolved. Maybe Dr Rais Yatim can write an opinion so both parties can agree on the ground rules. Can caretaker government give financial help when Parliament is dissolve? 3. Let’s educate the rakyat with facts and figures so they have the knowledge to make a valued judgment about their own future. This is far better than abusive and crude language and behavior. Politicians must show a good example. We adopt free market practices in economy to grow. Likewise, in politics we must welcome a market of free ideas and live in harmony. Victor Hugo said “markets open to trade and minds open to ideas, will become the sole battlefield”. 4. On Cooperation with PAS, the leaderships are very close but this is not reflected at the grass roots level. They have been at each other all these years. PAS used to call UMNO members infidels. They prayed separately. In UMNO’s history, when it was weak it would court PAS and invariably PAS would throw its support for UMNO. Once UMNO regained its strength it will find excuses to kick PAS out. 5. PAS is against GST but in the Parliament, they always supported the government on budgets. This is strange logic. Surely PAS is not confused. As I said, PAS wants to be a kingmaker but they have make it very clear that they will not work with DAP which is a component party under PH. The public conclude that PAS just wants to help BN and in particular UMNO. Yet BN has MCA, Gerakan, MIC and parties in Sarawak and Sabah that oppose the RUU355. BN and in particular UMNO, has delayed this bill for a long time, just to pretend that it supports the bill. UMNO knows that if this bill is allowed to be debated, the non-Muslims will not support and this may cause a split within BN. Sadly, PAS’ leadership keeps giving hope to its members. But most of them know that UMNO is just playing politics. 6. I have been following speeches made by PAS’ leaders during this campaign. They are putting up 160 candidates which means a party with most candidates. Yet in most speeches they condemn Tun Mahathir and seems to praise Najib, l suppose this is what they mean by “kingmaker”. When they dropped an incumbent, they said “we are resting him, not dropping him”. PAS leaders confuse us with many contradicting statements. They say there is no need to get rid of a person like Najib but just advise him. They want to correct the system from within. If we follow their logic Mugabe should not be toppled. South Africa should have kept Zuma. Indonesia and Philippines made mistakes getting rid of Suharto and Marcos. Brazil and Peru should get advice from PAS. 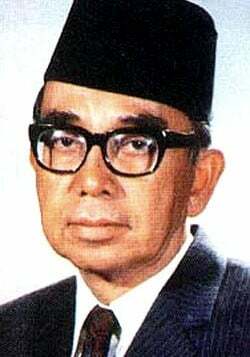 UMNO has made a mistake about Tunku Abdul Rahman and should not have forced him to retire. 7. It seems like PAS does not understand UMNO’s culture. UMNO’s President always tells members to be loyal to him. Loyalty to the President is their culture, and even when the president makes big blunders everybody should remain loyal. How do you change from within? And who is PAS to advise and change UMNO from within? The rakyat is right to be very suspicious of PAS’ real intention in this election. 9. You listen to Hadi and his speeches which, to an ordinary man sounds quiet strange where mostly in support the government. 10. PAS wants to have Islamic tax on savings, maybe to replace the GST. I hope PAS has the experts in taxation law so that they can advise how to implement this. lf the government tax the people on savings, it means that there will be double tax because only those who have money save. And these people has already been taxed. If this tax is implemented, will people save their money in our banks and financial institutions or keep it overseas? 11. Hadi’s statements do not help PAS. Based on his statements, PAS may even lose Kelantan, and Tengku Razaleigh is determined to win Kelantan for BN. However, my journalist friends told me that PAS may retain Kelantan as the Kelantanese hate UMNO. But recently, Rafizi Ramli said that things have changed and PH is gaining ground. People from Kelantan came to see me and told me that PH may have a chance. We can see the split in PAS with Nik Omar joining PH. In fact all three of their past presidents’ sons have left PAS to join PH. 12. The close relationship between the two party leaders confuse members. Both agree DAP is a threat to the Malays. This stand is illogical. Agong is Malay, Rulers are Malays. The PM and Menteri Besar are Malays. Majority of rakyat are Malays. By 2030, the numbers of Malays and Bumiputera are expected to increase further but the non-Bumiputera will see reduction. We know that this is just to frighten the rural people and their statements don’t make any sense. 14. Lim Kit Siang told the Malays not to be misled by Umno’s lies as majority of the voters are still Malays and the overwhelming majority of parliamentary and state assembly constituencies are Malay voter-majority constituencies . Statistics show in 1957, the Malay population stood at 49.8 percent, with the Chinese population making up 37.2 percent, and that the numbers have shifted since. In 2010, the percentage of Malays in the Malaysian population increased to 55.07 percent, Chinese reduced to 24.34 percent, Indians dropped to 7.35 percent, non-Malay bumiputera maintained at 11.94 percent and 1.3 percent others. He also highlighted the Statistics Department’s prediction that the Chinese population will continue to shrink to 19.6 percent in 2023, and 18.9 percent in 2035 and went on to say that Malays won’t lose power. 15. When Tunku Abdul Rahman and Tun Hussein Onn opposed Tun Mahathir, he never attack them. He was very civil and he respected their freedom to attack him. ln fact they supported DAP but Tun Mahathir never told the Malays if Semangat 46 were to win, DAP would run the country. Simply because Tun Mahathir knew that this is nonsense. 16. Some has looked at the racial ratio of candidates that will compete in the upcoming election. Based on parliamentary seats’ distribution from PH, Malay Muslim candidates are 175, Chinese 37 and Indian 10 people. The propaganda by BN to scare the Malays that the PM will be a Chinese is just baseless and it’s nonsense. Some people from BN and PAS seems to have these wild imaginations. 19. A former Menteri Besar said it is not impossible for BN to work together with PAS in this election. And there were also claims that PAS is receiving money from UMNO and BN. The rakyat said, no wonder UMNO and PAS is singing the same silly songs. 20. PH is not BN. Malaysians believe in the leaders of PH; Anwar Ibrahim Mat Sabu and DAP and all have accepted Tun’s leadership. The people know that these leaders are fighting for a common cause; to save the country. 21. We hope that this election will be the cleanest election possible. We have seen in 2013, laws were breached. Complaints were made but no action taken. An NGO did their own research and their findings were that the election commissions were not carrying out their duties as stipulated in the constitution. The judges were too lenient with the offenders. ln current elections, we read news that the caretaker government is disbursing money to various parties yet the election commissioner seems to be blind on these blatant breaches of election laws. 23. In India, they are very strict and look at what happened to lndra Gandhi. Justice Sinha has convicted then Prime Minister Indira Gandhi of electoral malpractices. This judgement was hailed all over the democratic world as a great triumph of an independent judiciary. 24. The Election Commission of Malaysia has to be independent and must play their role well. I heard some people are calling the EC or SPR (in Malay) as Suruhanjaya Penipu Rakyat. This is demeaning and tragically sad. Questions 1/2/3/4/5 Latest government decision to frozen the luxury property development at the midst of tackle of oversupply of the luxury and commercial property, can Tun enlighten us on these matter. One of the most concern of Malaysia was the skyrocket price of housing, beyond majority Malaysian mean , worsen one, even the “affordable” home, also cannot afford, what’s is Tun comment? What’s are Tun suggestion to overcome these pressing problem? From the majority benchmark and statistic, Malaysia are on the good position and well manage of country economy, the concern of the peoples, just not have these good feeling or doesn’t experience the positive one, Tun opinion? The GST and the impacts, some even request restore the SST, what are Tun comment. 25. I am maybe better with property than other subjects. Those who have been watching and following this sector have been worried about the number of luxurious condos being constructed especially in Kuala Lumpur. The same applies to commercial buildings and shopping malls. The government gives the impression that it wants to have as many highrises to show that there is big surge in the growth of the construction sector to fuel the economy. But the reports are out there for people to read. There is a huge glut in both these markets. 26. The value of the unsold homes – which do not include service apartments and SOHO (small office/home office) units – is 82.8% higher than a year ago, risking the sector to systematic impact in the event of financial shocks. 27. We read reports about the huge overhang. We are told developers can now get high plot ratios and because of that, the price of land has also jumped. Delay in getting approvals has caused the increase in the holding costs. There is also talk of corruption. These factors have pushed up prices of the end product. Most cannot afford to buy. So, we have empty buildings. Developers even sell with zero down payment and speculators bought many apartments with a view to make a quick profit. Then the price of oil dropped. Most Oil and Gas companies had to cut costs. Petronas was reported to retrench 6000 employees. Major oil companies followed. Speculators decided to cut losses and developers have had to hold the properties. 28. History tells us if the property sector faces problem, it drags the economy down with it. l don’t know if we have learnt our lesson. The Government recently bought 51% of a building from Mulia group and we are told that the project is good. If so, why should Mulia sell? It is silly for developers to sell good project, and PNB is also building its new HQ. Maybe it has a lot of money but that money belongs to the ASN and other unit trust holders. Is this the right time to build? 29. The Valuation and Property Services Department (JPPH) in its property market report 2017 said there is a rising concern on the overhang for residential units. Bank Negara has sounded its alarm bells over the property gluts. In its 2017 annual report, the central bank said there were 129,052 unsold housing units at the end of third quarter of 2017. More than 80% of the unsold units were priced at RM250,000 above. 30. The alarm bells from Bank Negara came in a bit late. They should have advise the banks on the risks that they are taking sooner. How come the Treasury too ignores the obvious? They have the experience in monitoring all sectors so that no sector is overheated as this will cause a disruption to the economy and the banking sector. 31. During my time, l called the stakeholders and got their views and advice and told them the government wanted them to correct the unhealthy situation immediately or I would be forced to take drastic actions to save the economy and the country. The government must not allow the free market to run wild. 32. I think government has made right move even though l think should have been done much earlier. But what happened to KL city plan 2020? lt was unveiled in 2008 but until now, it has not been gazetted. Now “Selamatkan KL”, a collation of residents association have pressured DBKL to gazette it, but DBKL seems to be in no hurry. Now we understand why developments in KL is very messy. The opposition is saying that if BN can’t manage KL city, how is it going to manage the country? 33. Malaysians cannot afford to buy houses because salaries are low and there is a mismatch between increase in salaries and expenditures. We are not creating high income jobs. Jobs created are for unskilled group and are taken up by foreigners. 35. The government has made announcements that banks will lend up to RM300,000 for buyers to buy Prima houses. But how many can afford to borrow as their salaries are too low and the cost of living is very high? We have also read reports that there are those who are not eligible getting Prima houses and they are renting them out. Rakyat ask what is new?The opposition makes fun of BN’s manifesto on urban development. 36. In BN’s Manifesto, it has announced that they will help the people to secure the loans from the banks to purchase “affordable house”. Plainly BN has not learn any lesson and has no clue on how to address and solve the problem. Read what Bank Negara has reported. The income is low and prices are high. The rakyat are not prescribed with the right help. In 2013, the PM said that the government would build 1 million units of affordable houses, with PR1MA to build half of them, but until end of 2017, PR1MA have sold not more than 12,000 units. It clearly shows that the rakyat do not have the purchasing power to buy even the house that is called “affordable” to them. 37. If Singapore can succeed and we have many successful property companies, it is illogical to see our people cannot afford to own houses. We should ask ourselves what has gone wrong. Wrong policies or wrong people entrusted to deliver? 38. In Treasury, they have the housing loan division to cater for civil servants. We have MBSB. Then banks have special unit dealing with housing loans and EPF allows some withdrawals for housing yet the rakyat complain they can’t afford to buy houses. l suggest whoever wins the upcoming election must seriously study this problem. They must get input from stakeholders and publish the proposal so the rakyat knows what the government intends to do. They can find out if they are able to afford the houses built for them. 39. I’d like to give a simple example. My family foundation built 100 houses to be distributed to the poor. They will rent at a nominal rate, just suffice to keep the place clean and to pay for security. After 10 years, these people will get the houses for free. The houses were completed a long time ago. Liability period is over and but until now the state government cannot identify the poor in the district. To date, they managed only to approve 40 people. We asked the mosques to assist and names were given. But sadly until now, the houses are empty. This is my experience. 40. The economy according to figures released is doing well with respectable growth. The inflation rate is expected to ease to 2.6% this year due to the soothing effect of fuel related items . The PM in early April claimed that the country in 2017 has registered growth of 5.9%, which was among the top gainers in the world. But some economists argued that this growth was below than the average for the emerging and developing Asian countries, which was around 6.5%. In fact, we were behind Vietnam (6.8%) and Philippines (6.7%). 41. The Government is happy but the rakyat is not happy. The Government says the Opposition is politicking when it tells the rakyat that the country is about to be bankrupt. As l said earlier, in order to settle this, we must hold a debate and let the rakyat listen and make their own conclusions. Rakyat is not happy about the high cost of living. Even if there is growth, they don’t feel it. Any policy must benefit the rakyat. Rakyat must feel they benefit from it. 43. We can’t blame the rakyat for complaining. The statistic and the reality doesn’t match. Household income between year 2009 and 2016 has increased at a slower rate of 73% as compared to the household expenditure of about 84%. The salary of the middle income earner has only increased by only RM17 in 2016. More than half of working Malaysians earn less than RM1700 per month. This is national data and statistic. Clearly rakyat not feeling the benefit of the economic development. A Grab driver told me recently, if the economy is as good as proclaimed by the government, why now the rakyat has to work two jobs? 44. Hadi said the problem with the economy today started in the 1980s. In other words, Hadi is now admitting that the economy is not doing well. I was the minister in the 2nd half of the 1980s. Hadi should give details to this claim and check the records before making any statements. Hadi continues to say that these problems started from those who are now leading PH. He must be referring to Tun Mahathir. But Tun Mahathir has retired in 2003. If Umno and BN cannot handle the economy for the past 15 years and still blaming Tun Mahathir for their inefficiency, then BN doesn’t deserve to continue running the country. 45. Let the economists explain. lf growth is based on borrowing, it can never sustain. From the year 2009 to 2017, the national debt has increase to an average of 11% per year. That is almost double from the average rate of the country’s economic growth of 4.7%. This does not take into account the debts on MRT, ECRL and few others. 46. On ECRL, the Kelantanese say that they have have never ask for ECRL and are very surprised that BN is so eager to have this project. 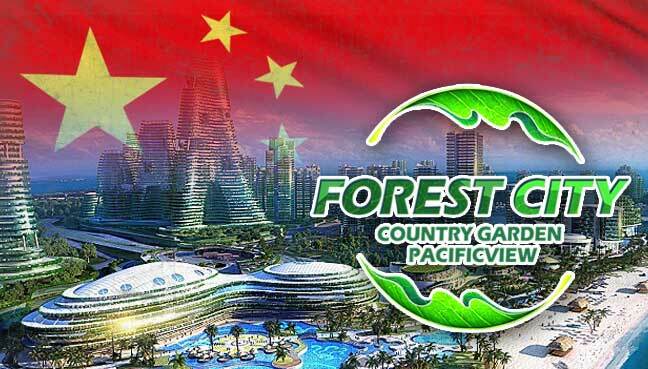 They checked and found that cost to Chinese contractor was RM 55 billion and may increase. Some said that the local contractors can do around RM 32 billion and many wonder why BN is willing to pay more. 47. The Treasury Secretary General said that the GST waiver would ensure that the cost would not go beyond RM55 billion. This explanation is not acceptable. The local contractors who build roads, hospitals and other infrastructure complains that they have to pay GST. Some said “kita belisimen, paku pun kena GST”. Why is the double standard? So with GST the actual cost for ECRL is higher and that is the reason why the government is not imposing GST for this project? What is puzzling is why the civil servants are replying? How do I distort the facts as I am repeating them? 48. 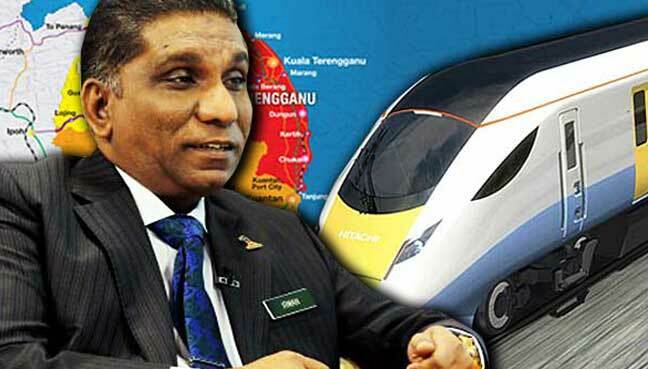 Kelantanese are not happy with the cost of ECRL. They said the high cost will result in higher ticket price and its better to fly with Air Asia. Some argued that if BN is really sincere, why not use that RM55 billion to develop Kelantan. This is their line of campaign against the government. 49. Lots of money is promised, a bit is now given, but the balance will be given only if BN gets supports and wins the election. Is this right? Where does the government gets the money? Is this part of the budget? As it stands, the additional increase in operational expenditures from the supplementary budget, higher BR1M payout and higher pay for the civil servants will be more than projected revenue. This is fiscally irresponsible. How are we going to pay? We can’t borrow for operational expenses, borrowing is only allowed for development purposes. 50. YB Nurul Izzah has challenged the PM to reveal the details of all the country’s investments by China. The rakyat has the rights to know of such deals, because they are the “main stakeholder,” especially when it involves billions of ringgit worth of taxpayers’ money. The rakyat cannot understand why the government is reluctant to reveal these information. 51. Najib says that the country would go bankrupt if the opposition wins, and the stock market or the currency will drop. He says removal of GST will cripple the country. Well, the stock market barely moved between 2013 and 2017, and the ringgit has lost almost one-third of its value in the last six years against the US Dollar. Our foreign reserves in USD is lower now than in 2008. This happens during BN administration, not PH. We continue to be in deficit. Even with GST, we are still in deficit. Debt continues to increase. Don’t forget that when the government borrows, the rakyat has to pay. BN’s mantra that ‘wang GST dikembalikankepada rakyat’ is foolish. Rakyat is asking, there was no GST before and yet we can build this country. GST was introduced 3 years ago and for the last 57 years, we were doing fine. Why now with GST our lives are getting harder? The government so far, is unable to provide convincing answers. 52. BN asked, where would PH finds the money if we remove GST. But if we end corruption and cut wastages, it would be more than enough to cover the shortfall from the removal of GST. We must acknowledge that the problem is debt and spending, and yes it is a huge challenge. But the challenge can be overcome and these exercises requires a competent team at the ministry of finance, which in the opinion of most is currently not there. However, PH is confident that theywill put in their best people, all the experts and economic team with experience and expertise to help the Treasury. Tun Mahathir and Anwar were both the Ministers of Finance. 54. The Mufti of Negeri Sembilan said he is worried that Tun Mahathir will become a “munafik” or “hypocrite and he gave an example of Abdullah Ubay; who went against the instruction of Prophet Muhammed in one of Islamic wars. The opposition has replied to the Mufti and also asked why are the Muftis taking sides in politics? 55. The other day, I saw on Sinar TV a debate was held between BN’s rep and the rep from the opposition. To me, it was good. Let the leaders debate too. If the youth dare and are willing to debate live in media, why BN leaders refuse to accept the challenge? 56. Both sides must not be overly confident. They must listen to the voices of the rakyat. In politics, there are full of dramas. But just remember the words of Plato where he said “the price good men pay for indifference to public affairs is to be ruled by evil men”. So go out and vote. Posted in 1MDB Financial Scandal, Barisan Nasional, BN Election Manifesto--2018, Corruption, Economic and Social Policy, Economy, Ethics, Fareed Zakaria, GE-14 Malaysian General Election, Governance, Hudud, Leadership, Malaysia, Najib Razak, Pakatan Harapan, Politics, Press Freedom, Public Management, The 1963 Malaysian Constitution, The Malays, Tun Dr. Mahathir Mohamad, Tun Razak, Tunku Abdul Rahman, UMNO. Reforming Bumiputera policy is a colossal project both rival coalitions are reluctant to tackle. Yet the tentative consensus misconstrues an embedded but failing preferential regime. Malaysia’s 14th general elections (GE14) will see an intense and dynamic battle for the Malay electorate, but also continuity of the extensive, embedded, and often misconstrued, pro-Malay ethnic preferential regime. Tapping into widespread economic discontent and anxiety, particularly in the Malay population, incumbent Barisan Nasional (BN) and opposition Pakatan Harapan (PH) coalitions both offer populist-flavoured menus, with varying signature dishes. BN will try to differentiate itself by drawing attention and emotion to the pro-Malay, and more broadly pro-Bumiputera, policies that it founded and continually implements. The political rhetoric around Bumiputera policies will escalate in the coming weeks – and recycle simplistic and convenient stances. With polling day set for 9 May, the BN under the hegemony of UMNO and dependent on Malay vote bases, increasingly kindles notions of Malay unity and Malay interests, and stokes anxieties of purported erosion of ethnic primacy and privilege. Expect caretaker prime minister Najib Razak to sell the Bumiputera Economic Transformation Programme (BETR) as a big deal, and seek a mandate to stay the course. But the policy may not make that much of a difference; PH broadly agrees with keeping this ethnic preferential system. 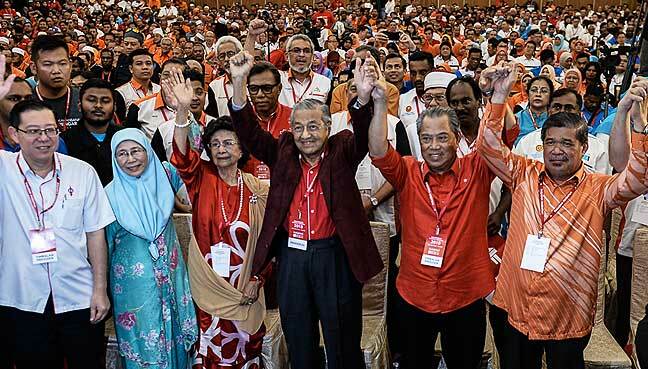 The newly reconstituted coalition, with a Malay-based party led by former Prime Minister Mahathir Mohamad, decidedly affirms the goal of Bumiputera empowerment. It minimally specifies how its approach differs from BN’s. Assuredly, as happened prior to the 2013 elections, Pakatan will decry the patronage and cronyism recurrent in various Bumiputera-favouring programmes, while taking care to avoid alienating the multitudes that benefit from the policy, as we can discern from its alternative budget. Thus, Malaysia’s Bumiputera preferential regime muddles along. Both coalitions have mellowed their stance compared to a few years ago, when there was more forthright talk of replacing Bumiputera preferential programmes, also termed race-based affirmative action, with “need-based” and “merit-based” affirmative action. Now the discourses imply all the above vaguely coexist, while occasionally accepting that perpetual ethnic preference is undesirable. Clarity and precision are urgently needed, presenting coherent policy alternatives and workable solutions anchored to the objective of promoting Bumiputera participation in higher education, high-level occupations, enterprise and ownership. Policy objectives and instruments must be acknowledged, their breadth and depth grasped. A systematic and viable roadmap for phasing out the existing Bumiputera preferential regime must lay the groundwork by broadly cultivating capability, competitiveness, and confidence. The different policy spheres also present different conditions. Higher education holds out a broad scope for “need-based” assistance for the poor and disadvantaged, through admissions policies, scholarships and financial assistance. For Bumiputera empowerment in employment and enterprise, “merit” considerations are paramount. The principal objective in these spheres is the cultivation of capable and competitive professionals, managers and enterprises – who are poised to graduate out of preferential assistance. So-called needs-based and merit-based selections serve to complement and reinforce the Bumiputera preferential regime. Pronouncements to replace or systematically reform race-based affirmative action with such alternatives are premature and misplaced, lacking in systematic analysis. Emphatically, Bumiputera empowerment must be effective and broad-based before systemic reforms can take shape credibly and feasibly. The regime has registered substantial achievements in promoting Bumiputera upward mobility, but shortcomings remain in terms of the ultimate goals of capability and competitiveness. By 2013, 28.4% of the Bumiputera labour force had acquired tertiary educational qualifications, compared to 26.6% of Chinese and 25.8% of Indians. However, graduate unemployment is a more acute problem among Bumiputeras. The Bumiputera share of managers steadily rose to 45% in 2013, from 24% in 1970 to 35% in 1985. The public sector and government-linked companies considerably contribute to these figures, and among private enterprises, micro and small-scale establishments. In 2015, among Bumiputera SMEs, 88% were classified as micro, 11% small, and only 1% medium, while the corresponding figures in non-Bumiputera SMEs were 70%, 26%, and 4%. Bumiputera-controlled companies account for only 25% of the 800,000 registered companies in Malaysia. The Bumiputera population at large must be adequately equipped before Malaysia can truly reform and roll back the system. As things stand, there is scant analysis of policy outcomes and mostly tacit acknowledgement of policy inefficacies, and no formulation of exit strategies for facilitating the graduation of Bumiputeras out of overt ethnic preferential treatment. To be fair, the BETR, introduced in 2011, does modify policy objectives and methods. It is distinguishable from preceding policies, through the ways it reaches out to disadvantaged students and strives to cultivate capability and competitiveness in private enterprise. But these interventions are selective, not systemic. They leave swathes of the ethnic preferential regime untouched. Indeed, the policy spheres with extensive outreach and potential to empower Bumiputeras – in pre-university programmes, university admissions, government contracting, microfinance and public sector employment – scarcely appear in long-term development plans. There is no commitment to apply lessons from the BETR’s focused interventions, let alone any intention to execute systemic reforms. Vision 2020, charismatic albeit flawed especially in neglecting education, enterprise development and democratisation, secured a place in the hearts and minds of Malaysians. So firm is the hold on the public imagination that even as the Vision’s progenitor Mahathir now assails Najib, the latter cannot forsake the brainchild of his new nemesis. Rather, Najib postures his administration as building on Vision 2020, merely implying there is some incompleteness in Mahathir’s treatise. Beyond 2020, a new 30-year mission is being crafted under the TN50 (National Transformation) banner. This project adopts a more “bottom up” approach of compiling popular aspirations and engaging in public consultations. The templates and priorities already laid out are wide-ranging, sanguine and opportune – but conspicuously steer clear of the question of ethnic preferential policies. It has to be acknowledged that reforming Bumiputera policies is a colossal project, and the bi-partisan reluctance to deal with it partly stems from a desire to look beyond ethnic identity and to pursue non-ethnically delineated policies. But the political consensus, while striving to transcend ethnic policies in rhetoric, misconstrues and ignores the embedded ethnic preferential regime. Resistance to change is often blamed on the political establishment, but this is too simplistic. On the ground, societal forces are also deeply apprehensive and resistant to change. Bumiputera households are not simply being played by politicians; they materially benefit from the policies. Why and how would any people rationally, willingly surrender privilege? There are no easy answers. But Malaysia’s political dispositions and policy discourses preclude candid, honest and rigorous engagement on these crucial issues. 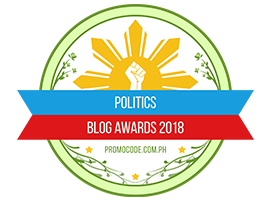 Election campaigns will deservedly dwell on livelihood concerns such as cost of living, social assistance, housing and jobs, and developmental concerns like infrastructure, transportation, education and health provisions, and matters of governance and morality, including social justice, inequality and corruption. Of course, politicians will stick to simple and straightforward promises, not complex and nuanced propositions. Consistently, candid and critical discourses appear neither during elections, when new visions and mandates might be projected, nor between elections, when necessary but inconvenient reforms might be pursued. For example, in making pre-university matriculation programmes more rigorous to better prepare university entrants, or in imposing greater demands and incentives for government contractors to raise work quality and scale up operations. However, any grand quest to take Malaysia to the next stage must address the current state and future prospects of the Bumiputera preferential regime. 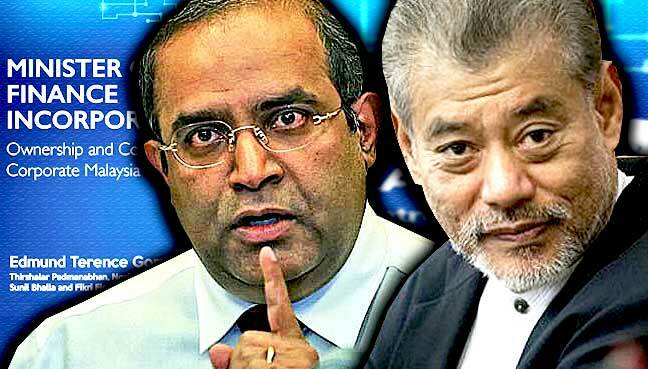 Instead of suppressing such questions, or entertaining misguided notions that full-fledged transformation is already in progress, a true mark of Malaysia’s progress on this issue will be its capacity to appraise how effective it has been in promoting Bumiputera empowerment, while rekindling the intent – and audacity – expressed in the past for pursuing capability, competitiveness and self-reliance. Posted in BN Election Manifesto--2018, Corruption, Crony capitalism, Development Planning, Economic and Social Policy, GE-14 Malaysian General Election, Leadership, Meritocracy and Competence, Najib Razak, New Economic Policy, New Mandala.org, Pakatan Harapan, Policy Research, Public Accountability, TN-50, Tun Dr. Mahathir Mohamad, Tun Razak, UMNO Politics, Vision 2020. THE face of Corporate Malaysia has changed many times over the decades and it is not driven by pure market forces. Instead, it is inextricably linked to state intervention in the economy and politics, says Universiti Malaya’s Prof. Dr. Edmund Terence Gomez. “The nature of state intervention in the economy is very much driven by the politics of the country,” Gomez says at a lecture at Monash University Malaysia in Bandar Sunway, Selangor. His lecture illustrated the scale and implication of the nexus between politics and business. These are among the findings that will appear in his book Minister of Finance Inc: Ownership and Control of Corporate Malaysia. From Gomez’s research, there are several defining moments that are inextricably linked to Malaysia’s politics and history. “Many of the outcomes we see today have been shaped by who was the prime minister at particular moments in Malaysian history,” says Gomez. The first defining moment, according to him, was in 1970 when the New Economic Policy (NEP) was introduced by then Prime Minister Tun Abdul Razak Hussein (dec 1976) to fight poverty and redistribute wealth more equitably. It was then that the government decided to cast away its laissez-faire policy and actively intervene in the corporate sector. “The NEP was a policy that the country needed. It involves state intervention to rectify the problems that had occurred under colonial rule where the bypassing of Malays in business was a key problem,” says Gomez. According to his analysis of the most valuable companies in 1971, the key players in the economy were foreign-owned firms and family businesses — owned mostly by the Chinese — which controlled 61% and 23% of the economy respectively. It was in the 1970s that the state intervened by creating well-funded public enterprises that went out and acquired the assets of foreign companies. The next turning point came in 1981, when Tun Dr Mahathir Mohamad became Prime Minister. “He decided that the purpose of the NEP was to create bumiputera capitalists or bumiputera businessmen, not GLCs (government-linked companies). The [NEP’s] emphasis on education diminished and its focus moved to business,” says Gomez. This is notwithstanding the fact that the most valuable companies in 1997 were still government controlled, including Telekom Malaysia Bhd, Tenaga Nasional Bhd, Malayan Banking Bhd and Petronas Gas Bhd, all in the top four. But it marked the start of an era where many public enterprises were privatised in order to help create a class of bumiputera capitalists. Gomez’s analysis of the top 30 most valuable Malaysian companies in 1997 shows that prominent businessmen controlled 11 of the top 30 firms. They included Tan Sri Halim Saad (United Engineers Malaysia Bhd, Renong Bhd), Tan Sri Tajudin Ramli (TR Industries Bhd, Malaysian Airline System Bhd), Tan Sri Rashid Hussain (Development and Commercial Bank Bhd), Tan Sri Yahaya Ahmad (Edaran Otomobil Nasional Bhd, Perusahaan Otomobil Nasional Bhd, Heavy Industries Corp of Malaysia Bhd) and Tan Sri Azman Hashim (AMMB Holdings Bhd). Then came the 1997 Asian financial crisis, another turning point. “The financial crisis came and all this fell apart. We see the move from private businesses to GLCs coming to the fore and taking control,” says Gomez. Analysis of the most valuable companies in 2001, after the financial crisis was over, shows the fall of the bumiputera capitalist class. Among the top 30 most valuable firms, Rashid’s RHB Capital comes in at No 14 and Azman’s AMMB Holdings clocked in at 23rd. Similarly, in 2013, the year of the last general election, the only two bumiputera-controlled companies in the top 30 list were SapuraKencana Petroleum Bhd (controlled by the Shamsudin family) and Azman’s AMMB Holdings at No 15 and 20 respectively. “The key figures in 2001 were the GLCs, and 12 years later, in 2013, the key figures in the corporate sectors were still the GLCs. The GLCs have emerged as key players in the economy and have sustained themselves,” say Gomez. By 2013, seven of the top 10 companies were GLCs, which also made half of the top 30. During Tun Abdullah Ahmad Badawi’s time, he pushed for GLC transformation, which saw a new class of professional managers take the reins at important companies. The other interesting development in 2013 is that foreign-controlled firms were re-emerging as important players in the economy. They included DiGi.Com Bhd, British American Tobacco (M) Bhd and Nestlé (M) Bhd, which are among the top 30 most valuable companies in Malaysia in 2013. Gomez also points out another important finding — manufacturing firms are no longer a major force in the economy. “The industrial elite of old have fallen away. Industrial companies have not been investing in R&D. They have been fearful of the state,” says Gomez. Where does it leave us today? The first phase of Gomez’s research focuses on the government-linked investment companies (GLICs), which are major players in the economy by virtue of their web of ownership and control over a vast empire of companies. The seven GLICs analysed by Gomez’s team are Minister of Finance Inc, Permodalan Nasional Bhd, Khazanah Nasional Bhd, Kumpulan Wang Persaraan (KWAP), the Employees Provident Fund (EPF), Lembaga Tabung Haji and Lembaga Tabung Angkatan Tentera. These GLICs control over 68,000 companies directly and indirectly with minority interest. “The seven GLICs control important companies in the economy. They have majority ownership of 35 public-listed companies and in terms of market capitalisation, they control about 42% of the entire Bursa Malaysia,” Gomez says. He argues that this is of concern because this points to extreme concentration of power in Minister of Finance Inc.
As Gomez describes it, Dr Mahathir was “extremely involved” in the economy while Abdullah was not very involved. Najib, on the other hand, is selectively involved in the economy. “There is an unprecedented concentration of power in the executive. The key company here is MoF Inc, the super entity … What does this control allow the executive to do?” he asks. Gomez is proposing several reforms to reduce this concentration of power. He says that to ensure proper checks and balances, the prime minister cannot also maintain the finance portfolio. Gomez is also calling for an operational oversight body for GLICs and GLCs, instead of concentrating it in the Ministry of Finance. This could provide policy coherence and coordinate GLIC and GLC activities to achieve specific social and economic objectives. Posted in 1MDB Financial Scandal, Abdullah Badawi, business, Development Planning, Economics, Economy, Governance, Kleptocracy, Najib Razak, New Economic Policy, Political Economy, Tun Dr. Mahathir Mohamad, Tun Razak.